One of the greatest tracks used in Formula One today, Japan’s Suzuka circuit is a massive test of car and driver ability. Built by Honda as a test facility in 1962, the track was designed by Dutchman John Hugenholz, the Hermann Tilke of his day. A huge theme park was also constructed at the track, including the famous big wheel which dominates the Suzuka skyline. In 1987, having hosted various sports car and F2 races, and having lost out initially to Fuji in the race to host the Japanese Grand Prix, Honda’s influence finally prevailed and the Grand Prix had a new Japanese home. And at Suzuka the race has stayed, providing the scene for many nail-biting end-of-season deciders, including the infamous collisions involving Alain Prost and Ayrton Senna. Suzuka includes some of the Grand Prix calendar’s most challenging corners. Among the drivers’ favourites are the high-speed 130R and the famous Spoon Curve. On top of this the circuit’s figure-of-eight layout makes it unique in Formula One. With the world championship still in the balance, this weekend will see even more intense rivalry between Michael Schumacher and Fernando Alonso. Even though both have 116 points, Michael is in front on a count-back of the number of wins, having one more than Alonso. The Japanese GP will start at noon, our time, so check your TV feed. Beware of the newspapers getting the time wrong. China was advertised as starting at 6 p.m., when it actually began at 1 p.m. Believe me, it is noon for Japan. 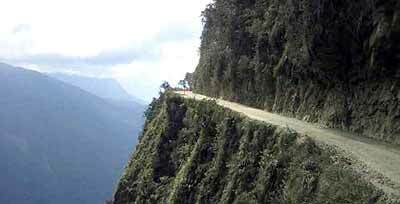 The world’s most dangerous road? No, it’s not Sukhumvit Road, but it is in Bolivia. A fatal accident every fortnight is not uncommon on the Coroico road (the July disaster brought the death toll during the previous eight months to 55) and in 1995 the Inter-American Development Bank declared this, the world’s most dangerous road. The only road that exists to get to the Amazon from La Paz, it is carved into the sides of a canyon. It can have vertical drops for 500 m and has no guardrails. Consequently, most Bolivians take the time to pray before their descent. After all, it could be their last. I have been on the lookout for the new Camry since its release a few weeks ago, and wondered why I had not seen too many. 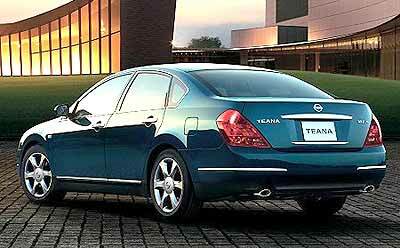 Finally I came up behind one in the morning traffic and my wife, who is as interested in motor cars as I am in cold porridge sandwiches, said, “It’s the same as the Teana!” I have to say she’s right, the two rear ends are very similar, both with embryonic Bangle Bottoms (which were introduced to the world in the BMW 7 Series and progressively toned down since then). As we came down the side of the Camry, there were more similarities. The front wheel arch is pure new Honda Civic, whilst the body crease from the front to the rear is Honda Accord. Previous Camry’s looked a little more up-market at the time of their release, but so far, this new one is disappointing. Last week I mentioned the Jaguar made the Mk VII and then the Mk VII M before the Mk VIII was released. I asked what was the first visual clue to spot a VII M from a VII? The answer I was looking for were indicator lights at the front of the mudguards. So to this week. Sticking with Jaguar, why was there no Mk IV? For the Automania FREE beer this week, be the first correct answer [email protected] Good luck!